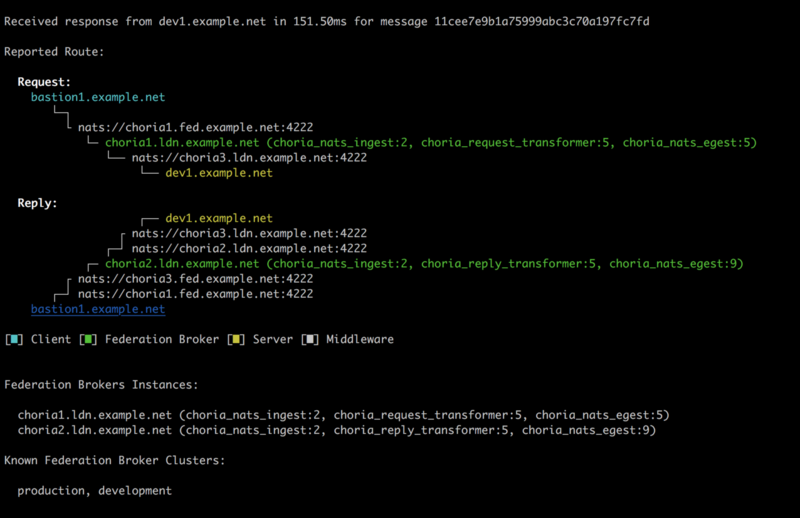 The packet flow through a Federated Choria Network can be traced using mco federation trace dev1.example.net. It will publish a tracing enabled message to the Federation. It will then show the resulting path the packet took in a meaningful way. This is unlike a traceroute, it can only show the result if the entire flow works and the reply is received. If your network is not functional it cannot show you where communication breaks.